Good Morning, Happy casual Tuesday! It's been so cold in NYC since the new year kicked in and I can't believe I'm saying this but I CANNOT wait for summer! I can't take these 5 degrees weather anymore. This was a causal look I put together sometime last week when the weather was a little nice enough to go with a knitted dress (here) and thigh boots (which you really can't see, since the dress is extremely long). I love how boyish this H&M trench coat looks, I have my eye on this one for the spring. Hope you have a lovely day today and try to stay warm. 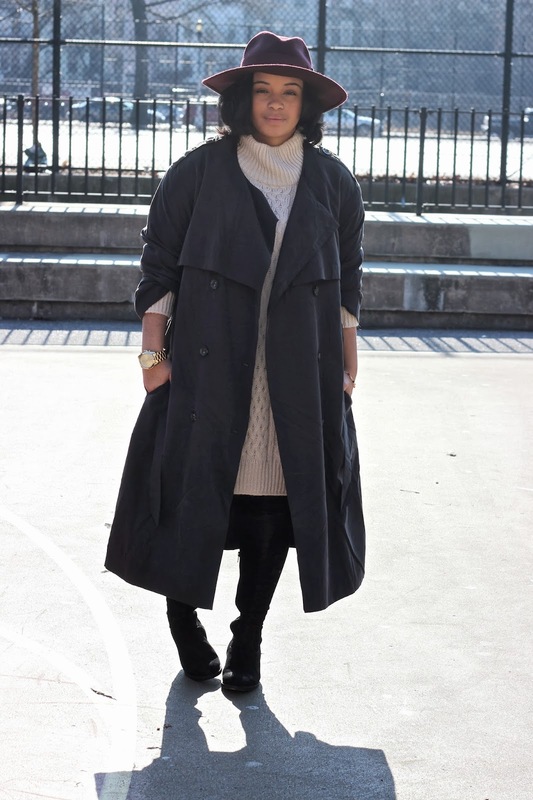 Love this look; perfect for winter. Looking good in that hat! 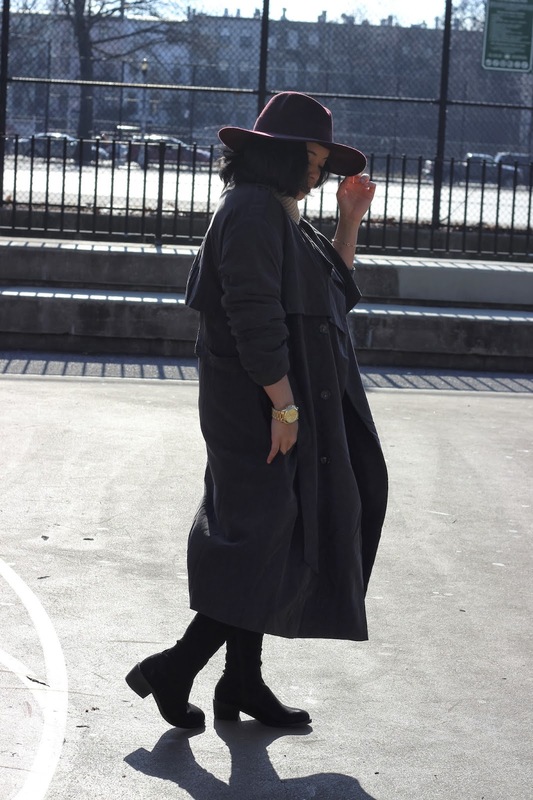 Here is a link to my blog, watch out for the long coat post (also perfect for hot weather) I recently purchased.